Last December was a bit different. 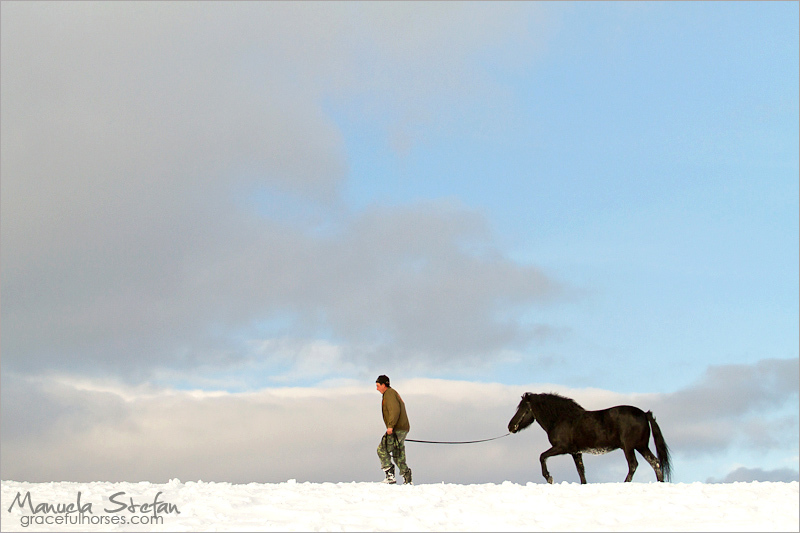 I went home with the intention of finding and photographing some horses roaming free in the Southern Romanian forests. I was detoured. Prior to my arrival, my dear mother watched a documentary on the Hutul horses from the Northern Carpathians ands she felt the subject might interest me. I did my research, discovered Lucina Stables and effortlessly decided to travel to the other end of the country, close to the Ukrainian border. The adventure exceeded my expectations. 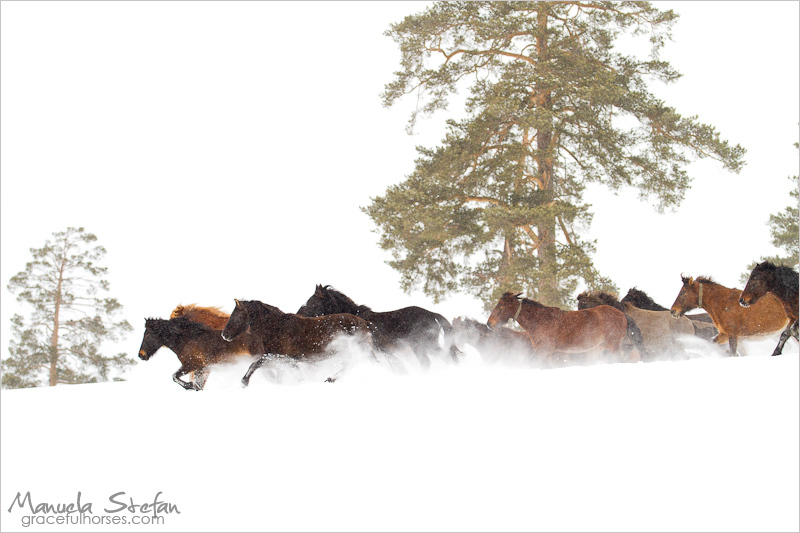 I had to talk about this while staying faithful to the thread tying my equine stories together: depicting horses’ vibrant spirit and reflecting their desire to run free, regardless of their circumstances. The locals from the North are extremely proud of this horse, which is so relevant to their existence in the area. Lucina Stables’ crew makes sustained efforts to preserve the breed by carefully and selectively working with the blood lines. 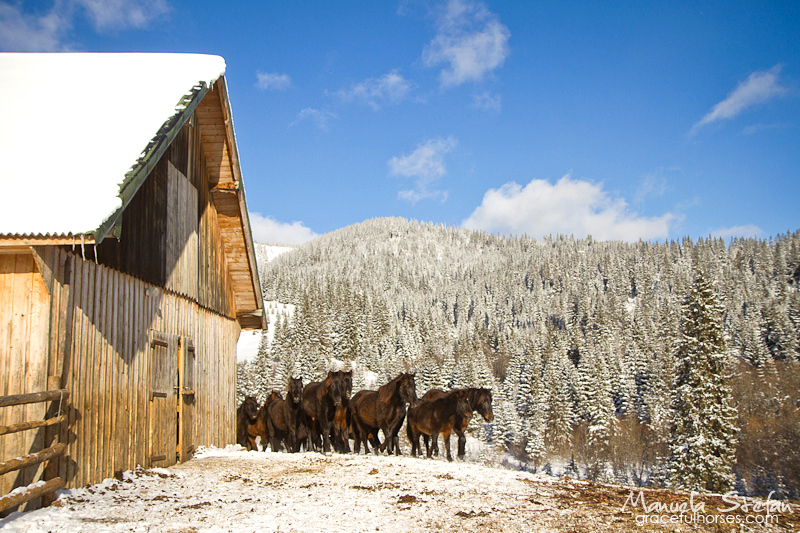 Lucina Stables were first opened in the 1850′s by the Austrian Colonel Martin Von Hermman for the equine needs of the Austrian army. 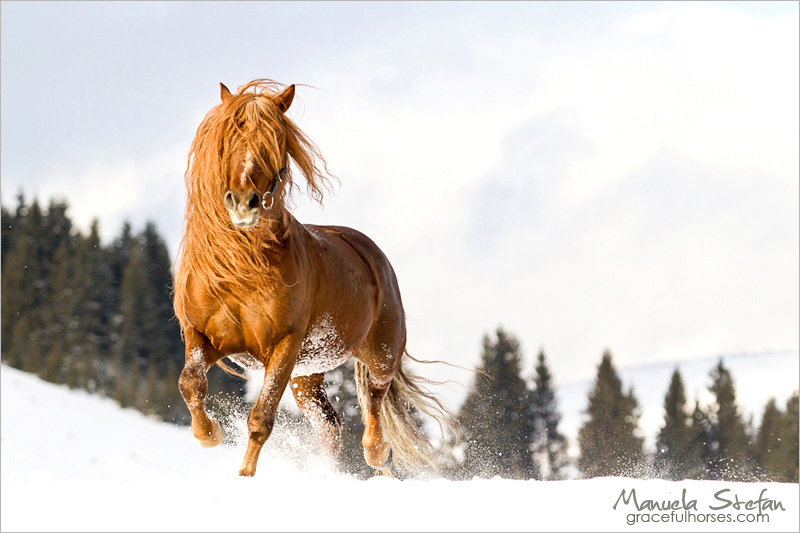 The Hutul horses are still raised there to this day and are known for their exceptional adaptability, strength and agility. 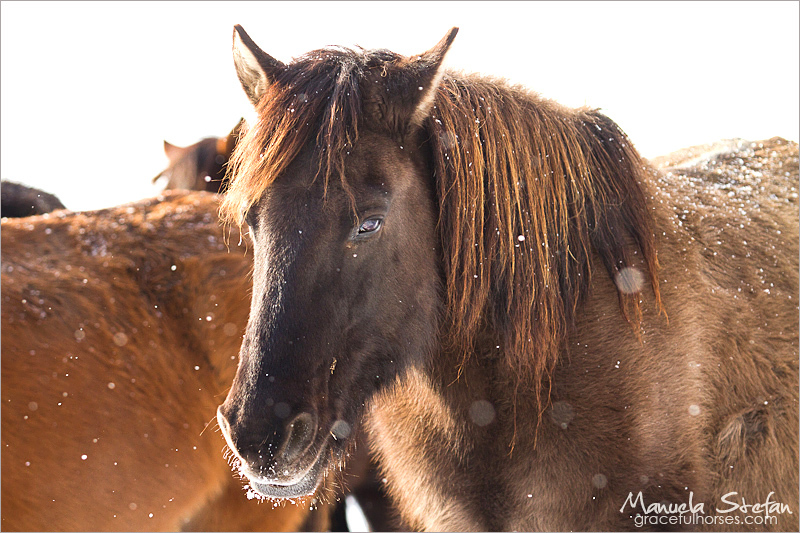 During my stay, one mare kept on following me around to the point where I could not even take photos as she was beside me all the time. Before leaving I went to say goodbye to my four-legged friends. She came to me, and while I was caressing her face, more of her friends joined and it all turned into a strange, beautiful, emotional procession. I was overwhelmed and had tears rolling down my face. I did not want to go! Wonderful! I wish I could have joined you! I first seen Molid on the front of Back in the Saddle mag. I noticed it looked a little shopped around his mouth and wondered why it was done that way. I most likely will never find out. But he was so beautiful I WANTED to find out more about him and where he was from. I had a hard time finding anything on the web when I finally came across a picture of him. I did not know until today that those pics have a link to a page that brought me here! Loved your story! Thank you for a lovely article, Manuela. 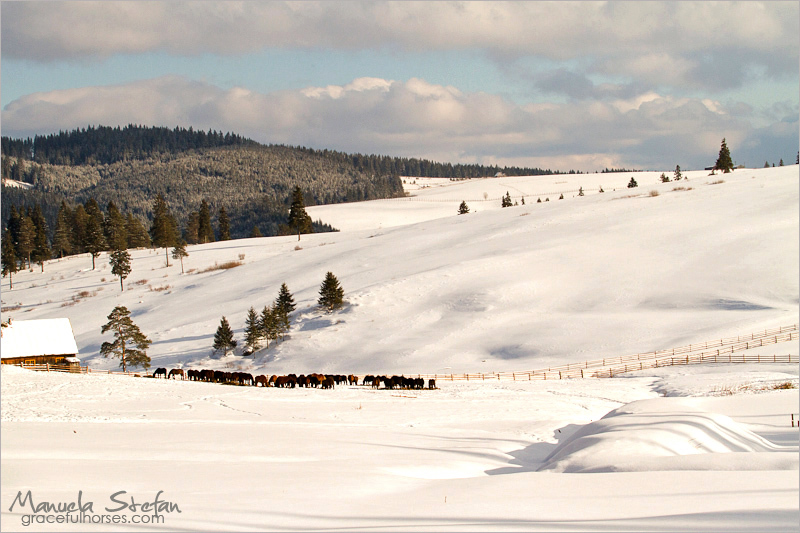 For eight years I ran an equestrian holiday business in Romania. 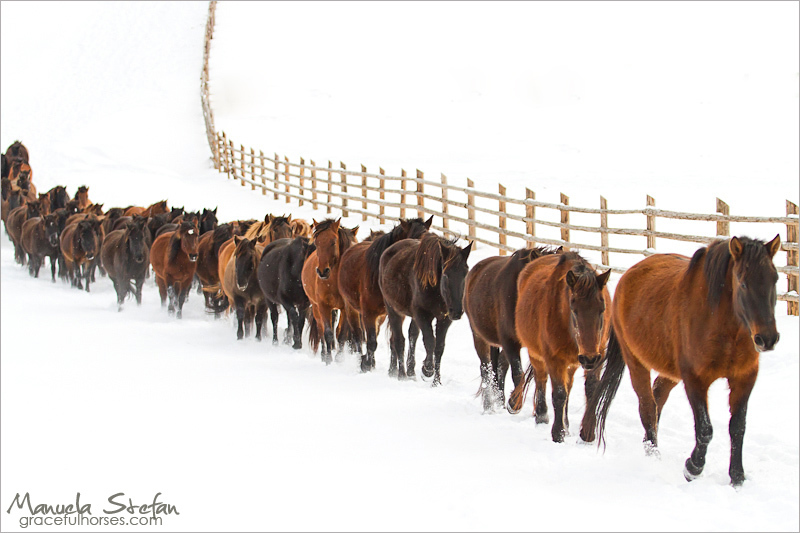 I bought several horses from Lucina stud, six lovely Hutul mares and two strong little stallions, and often took groups of riders back to visit the stud. The old stallion Molid was a favourite. I enjoyed going into his box to make a fuss of him. Lucina is a remarkable, unforgettable establishment, wonderfully situated and with days and weeks of great riding in the surrounding area. I do hope that the Romanian government supports Lucina and the other studs so that their futures are secure. These studs deserve to be better known and popular with visitors, Romanians and tourists alike.